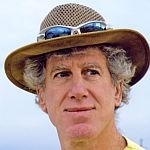 (HOST) Commentator Ted Levin has been savoring the last days of summer with a day-trip to the shore. (LEVIN) By car, the Parker River National Wildlife Refuge, which takes up the southern half of Plum Island, just off shore from Newburyport, Massachusetts, is a mere 110 miles from Thetford. But for a southbound dowitcher, flying in a straight line from the muddy rim of the Ompompanoosuc, it’s about seventy. The refuge is an avian bed and breakfast for more than 250 species of migratory birds. Its 4,700 acres include salt marsh, sand dunes, and freshwater wetlands. There are also footpaths, boardwalks, a couple of observation towers, and six miles of glorious beach – just a few of the reasons that it’s one of my family’s favorite day-trip destinations. A level seven-mile road passes through the barrier island, which is one of the premier birding sites in New England. Part paved, part dirt, the road caters to slow moving cars, which makes for safe roadside walking or biking. We park our car in the second of two lots and follow the boardwalk toward the ocean. The air above us churns with a hyperactive flock of swallows. Tree swallows, mostly. Thousands of them, rising, sinking, doubling back, flying in tight circles, like rice in a rolling boil. They’re trolling for mosquitoes and greenhead flies, while swirling southward in one large, mobile mass of blue-gray, a bruise in an otherwise bright blue sky. Heading for the breakers, the boys barely notice. The sand is bone white flecked with grains of purple garnet, the remains of White Mountain stone plucked, pulverized, and ferried here by an ancient glacier. Bunches of seaweed festoon the beach. A wave buckles and sends a warm spray far up shore, chasing a band of sanderlings away from the foam. But a group of gulls patiently holds their ground at the edge of the rushing sea like a phlegmatic crowd at a church supper. I count three species, three age classes, and nine plumages. A cormorant drifts by, face in the water, hunting. A flock of black-bellied plovers and a lone knot wheel in, settle on the hard, wet, gleaming sand, and immediately begin to probe for unseen morsels – sand fleas, baby clams, snail eggs – the avian version of carbo-loading before a marathon, which in the shorebirds’ case began in the high Arctic and will end in Patagonia, an 8,000 mile globe-trot on a wing and prayer. The boys are in the water, catching the tail end of summer. Later, I walk south along the beach, following the boys as they drift, carried along by the longshore current and their own irrepressible enthusiasm. I startle a flock of semi-palmated plovers gathered just beyond the ebb and flow of the surf. They fly as one, bank in the same direction, wing tip to wing tip, like a Frisbee turning back on itself. As the boys drift, summer passes and the start of school looms in the distance like a hungry falcon.